OS grid reference SD.734 426. The well is located in the grounds of Waddow Hall close by Brungerley Bridge, near Waddington, in the Ribble Valley. The hall is just off the B 6478 road about three-quarters of a mile south-east of Waddington village. It is on private land, but you can see the well by walking along a footpath at the western side of the hall running along the banks of the River Ribble at the southern side of the hall grounds. The legend originates from the 18th century although the well is a preChristian spring. According to this most often told 'legend' Peg O' Nell was a servant girl at Waddow Hall. However, she often fell out with her masters, the Starkie family, often quarelling with and being disobediant to them. One night, in particular, Peg had a blazing row with Misstress Starkie after saying she didn't want to fetch water from the well; the misstress was so enraged that she shouted at the servant saying "I hope you fall and break your neck". At a later date this came true when on a particularly icy night Peg went to fetch water from the well, but on her way there she slipped on some ice and fell into the River Ribble, at a trecherous spot, and did indeed break her neck. From that time on there seems to have been a curse on the Starkie family - anything and everything that happened at the hall was blamed on Peg, or her ghost, which was now haunting the house and grounds. Misstress Starkie became so fed up with the curse that she took an axe and chopped off the head of a statue that had earlier been placed beside the well in memory of poor Peg. Thinking that by doing this the curse would come to an end, and it seems to have done just that, because afterwards peace and quiet seems to have come upon the hall. Another legend or tale says that Peg dwelt by the well, perhaps as a kind of sprite, but that she caused a local Puritan preacher to fall into the River Ribble. As a punishment for this dastardly trick the head of the statue was chopped off. 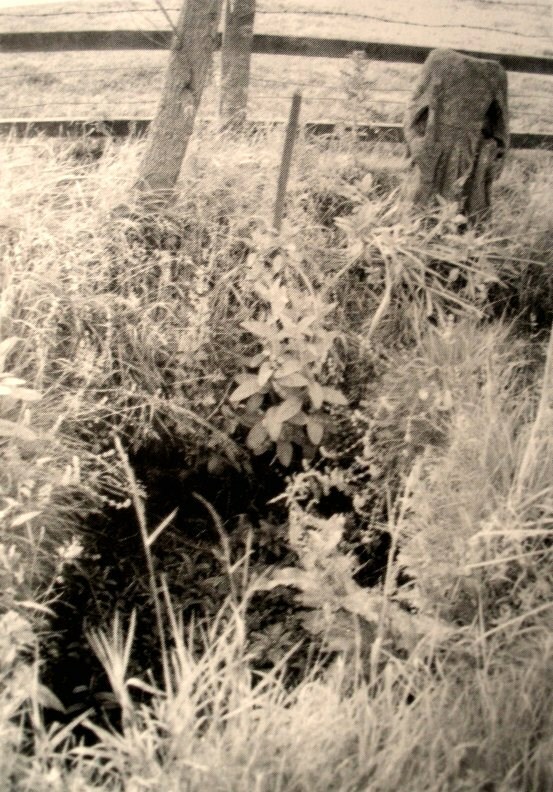 Folklore says that a water spirit or "sprite" lived in the well which was connected underground to the nearby River Ribble. But the truth about this seems to be that the headless statue is that of St Margaret of Antioch who was beheaded for her faith in the early centuries of Roman rule. St Margaret's feast day was on 20th July. Apparently, her statue was brought to Waddow Hall from either Sawley Abbey or Whalley Abbey where it had stood in it's own niche, or possibly it came from a local Catholic church. The headless statue appears to be holding a bible in one hand; so it was probably placed at the side of the well in order to make the well holy and sacred to pilgrims who used to visit the site for healing purposes on the saint's day. The head of the statue used to reside in an upstairs room at the hall, but it was lost for a time, only to be re-discovered and embedded into a wall at Brungerley farm not far from the bridge. But we may never know what really did happen here because legend and folklore have become mixed in with other tales that may, or may not, be true. The holy well stands in a meadow in the hall grounds and is a square-shaped hollow in the ground where water still flows, possibly fed by the river close by. The statue still stands at the side; and fencing now surrounds this sacred site. The hall and grounds are still said to be haunted by a ghost, but whether it is Peg's ghost we do not know, because this particular ghost is said to be hooded ? The curse itself used to claim a victim once every seven years; the screeming spirit of Peg would rise up from the murky waters of the river on stormy nights - an animal could apparently surfice as a victim, rather than a human. This story was almost certainly made-up probably to frighten the Starkie family who it was originally aimed at. Waddow Hall is now a Training and Activity Centre, but it used to be a Centre for girl guides and during the second world war it was an isolation hospital. Hilton, J.A. - Return to Peggy's Spout. Nelson, Carole - Source No 6. Harte, J. - Rivers and Sacrifices. Whitaker, Terence W. - Lancashire's Ghosts and Legends, Robert Hale, London, 1980. Peg O' Nells Well or St Margaret's Well, Brungerley Bridge, Near Waddington. B/w image of Peg O' Nells Well, Waddow Hall, near Waddington in the Ribble Valley. Wadow Hall still belongs to the Guide Asspciaiton and is used extensively by Guide Associaiotn members. The legend of Peg goes back into the 1660's, and there are many different accounts of the story. lancaster wrote: Wadow Hall still belongs to the Guide Asspciaiton and is used extensively by Guide Associaiotn members. The legend of Peg goes back into the 1660's, and there are many different accounts of the story. Sunbright57 wrote: No Danny have not been there as I don't drive. or if they do its often not accurate. THE YOKKSHIRE ARCH^OLOGICAL AND TOPOGRAPHICAL ASSOCIATION. Than thou may'st show ; thou hast nor hill nor dale. ELLIOT STOCK, 62, PATERNOSTER ROW, E.G. Peg o' Nell's Well at Waddow. means the girl slipped, and, falling, broke her neck. no rest, especially during the dark nights of winter. She became the evil genius of the neighbourhood. certainly be taken before the morning. must cross the river and be in Clitheroe that night. to her ; he must not therefore go. Nell had exacted her septennial tribute. By her well stood a statue, in later years, headless.